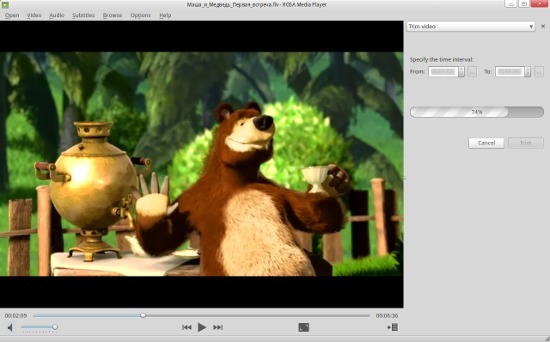 Rosa Media Player (ROMP) is a media player based on Mplayer. It’s the default player for Rosa Desktop, a Linux distribution based on Mandriva that comes with some special features. ROMP can play almost any audio/video formats, it also has the ability to extract audio from videos, trim videos or record the desktop.